PSPL IS PLEASED TO PARTNER WITH DEMOSPHERE TO OFFER A BETTER AND FASTER CLUB REGISTRATION PORTAL! DEMOSPHERE AND THE PUGET SOUND PREMIER LEAGUE GO ALL-IN! 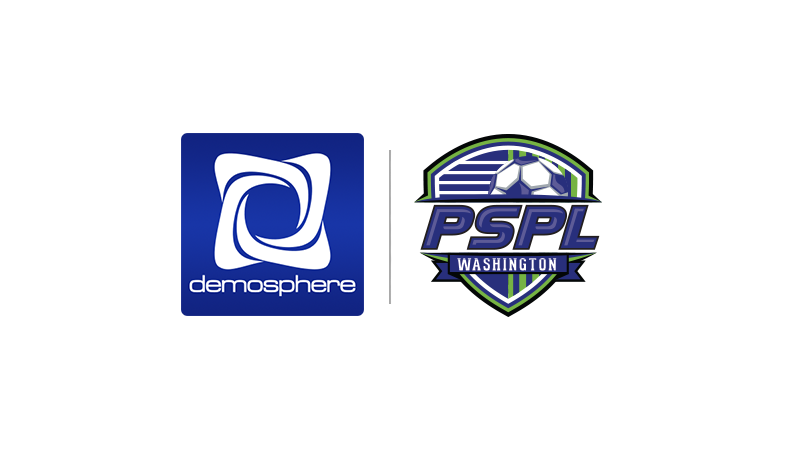 FALLS CHURCH, VA - July 10, 2018 - Demosphere, the most experienced provider of leading-edge technology solutions for team sports organizations, announced today an enhanced strategic partnership with Puget Sound Premier League (PSPL). Demosphere has been providing league-based solutions to PSPL since 2010 and most recently the two have doubled down on their partnership. PSPL is propelling their league forward by utilizing Demosphere's latest, fully integrated league management platform. This new system is designed using pioneering technology to integrate robust online registration tools for member Clubs directly into the PSPL league management solution. "Seamless data integration between Clubs and Leagues is a crucial component of the latest Demosphere platform," said Demosphere's President Kris Baker. "Clubs have been spending far too much time exporting, importing and manipulating data. Not only is this inefficient, it's extremely error prone. Our solution allows each organization to maintain ownership and authority over their own data, while also syncing it automatically to their League(s) and/or Governing Body. We think this is a game changer and we're thrilled to be moving PSPL to this new platform." Stanley Holmes, PSPL's Executive Director said, "We're all about trying to make the club admin experience faster, better and more affordable. That's why we are very excited to offer the Demosphere solution to our Clubs. We believe it can help make their experience more efficient!" Demosphere International, Inc. is an Information Technology company based in Northern Virginia that has catered to the technology needs of team sports organizations for over 27 years. Demosphere strives to provide authentic industry-leading technology solutions for organized sports, accommodating the needs of all levels of organizations and all levels of users, with an ethical approach to how they impact the greater community. Demosphere's integrated platform provides solutions for Teams, Clubs, Leagues and Governing Bodies with tools for players, parents, team staff, referees, and administrators.